Samsung is ready to strike again with another flagship member of Galaxy S series, other than the S8 have been released, Galaxy S9 and S9+ is what we are expecting next. Now it's becoming much more competitive to my look as smartphones are being released almost at the same time, it seems like every week. 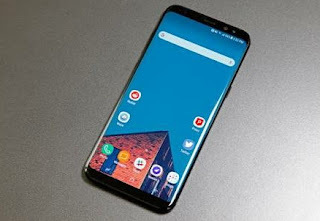 Within the previous eight weeks, Samsung launched its Galaxy Note 8, Apple released the long-awaited iPhone 8 & 8 Plus and iPhone X, last week Google unveiled its Pixel 2 and Pixel 2 XL, Huawei’s Mate 10 launch is today, and yet more competitors like Samsung is preparing for another launch of their smartphones. No launch date has been fixed yet for the upcoming Galaxy S9 and S9+, we are still anticipating for it. But before we get any official invitation regards its launch date, let's get to know what others are saying Galaxy S9 and S9+ should have, I mean its rumoured specifications. Both Samsung Galaxy S9 and S9+ are expected to run on Android 8.0 or 8.1 Oreo Operating System so users will be able to enjoy all benefits of Oreo Android. There's a news that Samsung’s upcoming flagship Galaxy S9 and S9+ will be the first to feature the Qualcomm’s yet-unannounced Snapdragon 845 chip processor. Reporting a post on Gsmarena, the first set production of Snapdragon 845 Chipset will be sold to Samsung for its S9 phones. Speaking of speed, with this Snapdragon 845 processor, I am uncertain because the chipset is yet to be existing. The performance will be great and more than the S8 if this rumour turns out true, that Galaxy S9 and S9+ might get maintained by a whopping 6GB RAM. Galaxy S9 and S9+ are rumoured to be built with an HDR display and an 18.5:9 aspect ratio, meaning the phones might have a bright display with good colour accuracy. And perhaps the smartphone might be bendable too. The Galaxy S9 might come with a 5.8-inch screen display while the S9+ could be 6.2-inch screen display. We'd expect Galaxy S9 & S9+ to have IP68 certification to make them water resistant just like the latest Huawei Mate 10. Also might be the presence of fingerprint or rather Face ID sensor on both devices. No big stories yet about their cameras. But we're anticipating Galaxy S9 and S9+ should support dual-lens rear camera just like the Galaxy Note 8 that features two 12-megapixel cameras. According to Korean IT site, ET News, the smartphones could feature a sensor which will allow shooting of slow-move footage at 1000fps. The release date is not certain. Though many say it would be released in February 2018 if the event is scheduled to kick off at MWC, or perhaps March or April 2018 if they decide to hold the launch at its own event. As for the price, there's no news yet. But we promise to publish any reliable update on this blog, so please do come back for more tech info. Meanwhile, Huawei Mate 10 official specs and price will be released on this platform a day or two after the launch event.